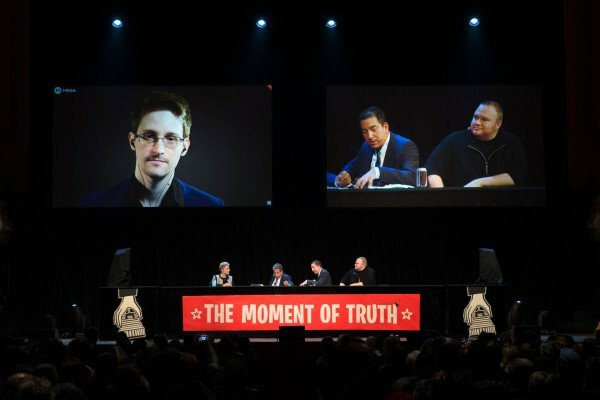 According to documents leaked by Edward Snowden, New Zealand is conducting mass surveillance over its Pacific neighbors. Calls, emails and social media messages were being collected from Pacific nations, the New Zealand Herald reported. The data was shared with other members of the “Five Eyes” network – the US, Australia, Britain and Canada. Edward Snowden leaked a large cache of classified NSA documents in 2013. The documents published on March 5 reveal that New Zealand’s Government Communications Security Bureau (GCSB) used its Waihopai base in the South Island to spy on allies in the region. Targets included Fiji, Papua New Guinea, the Solomon Islands, Nauru, Samoa, Vanuatu, Kiribati, New Caledonia, Tonga and French Polynesia. According to The Intercept website, which published the documents in conjunction with the New Zealand Herald, the base was running “full take” interceptions, meaning it was retaining content and metadata of all communications rather than just of specific targets. The data collected was then available to be accessed by analysts from the National Security Agency (NSA) via the agency’s controversial XKeyscore computer program, revealed during the original leak in 2013, the Herald reported. New Zealand PM John Key said the reports contained errors and false assumptions, but did not elaborate. John Key said the GCSB gathered “foreign intelligence that is in the best interests of New Zealand and protecting New Zealanders”. “If I was a New Zealander and the New Zealand prime minister got up and told me we had a foreign intelligence service that wasn’t gathering some foreign intelligence, I’d ask him <<what the hell are we paying the money for? And what the hell are you doing?>>” New Zealand’s Stuff website quoted him as saying. Andrew Little, leader of New Zealand’s opposition Labor party, said that he accepted the need for security agencies to protect the country but was “stunned at the breadth of the information that’s been collected”. Speaking to Radio New Zealand, Andrew Little said GCSB seemed to be “hovering” up information and “supplying it to the United States”.